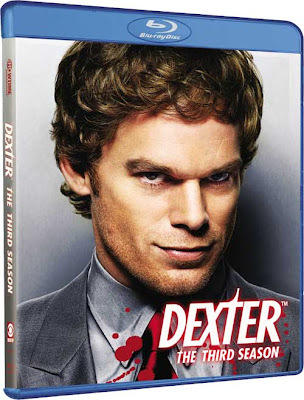 Paramount Home Entertainment has announced season three of DEXTER will hit stores on August 18th. The DVD runs $42.99 and the Blu-ray $59.99. No word yet on extras, hopefully the folks at Paramount will deliver the goods for season three.